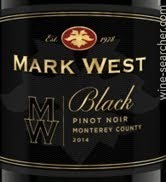 Mark West makes affordable and widely available Pinot Noir for Constellation Brands. Weird isn’t in their wheelhouse. But weird this is. Pinot Noir is typically slightly translucent and ranging from pale rose to light ruby in color. Why do we want one that looks like Malbec? Blackberry and chocolate aromas are atypical for Pinot Noir but the hint of mushroom had me thinking maybe we’re still in the Pinot universe. But no such luck. 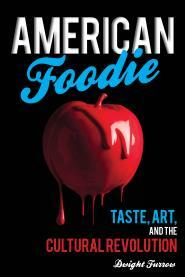 It’s a mouthful of promiscuous vanilla, sweet berry and cola tarted up to feel like you’re swallowing a milkshake. Yes, I exaggerate a bit but this takes smooth and creamy to a new level. Thankfully they brought it into balance with enough acidity, although it isn’t quite integrated with the fruit. The mercifully short finish continues the vanilla theme with soft, powdery tannins. Full bodied, concentrated, and so cumbersome I couldn’t wait to be done with it. If you like bloated, exaggerated wines with sweet oak flavor, and you’re put off by tart, thin, bottom shelf Pinot Noir, this wine might appeal to you. Anyone who loves Pinot Noir will wonder why it exists. But it’s an excuse to listen to George Michael’s Careless Whisper if sweet and smooth is on the menu.